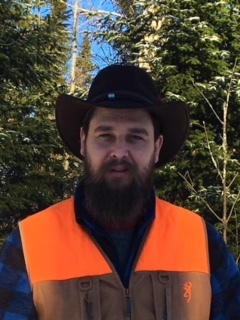 PhD, Environmental Science, Specialization in forest ecology, silviculture, and resource management, Université du Québec à Montréal, 2015. MSc, Environmental Science, Specialization in forest ecology, salvage logging, and geology, Concordia University, 2010. BA, Geography (Human Environment), Specialization in forest ecology and geology, Concordia University, 2008. Splawinski, T.B., Gauthier, S., Fenton, N.J., Houle, D., and Bergeron, Y. 2018. The colonization of young fire initiated stands by the crustose lichen Trapeliopsis granulosa and its potential effect on conifer establishment and stand succession. Silva Fennica. Splawinski, T.B., Drobyshev, I., Gauthier S., Bergeron, Y., Greene, D.F., and Thiffault, N. 2017. Pre-commercial thinning of Picea mariana and Pinus banksiana: impact of treatment timing and competitors on growth response. Forest Science. 63(1): 62-70. Splawinski, T.B., Gauthier S., Bergeron, Y., Greene, D.F., and Valeria, O. 2016. A landscape-level tool for assessing natural regeneration density of Picea mariana and Pinus banksiana following fire and salvage logging. Forest Ecology and Management, 373: 189-202. Splawinski, T.B., Patterson, J., and Kwiatkowski, M. 2016. The Late Cambrian interface of sea and land: Paleoecology and Paleoenvironment of the upper Cairnside Formation, Potsdam Group, near Beauharnois, Quebec, Canada. Northeastern Geoscience, 34: 13-22. Splawinski, T.B., Greene, D.F., Gauthier S., and Bergeron, Y. 2015. A stand-level tool for predicting the natural regeneration density of black spruce and jack pine following fire and salvage. Forestry Chronicle, 91: 360-366. Splawinski, T.B., Gauthier S., Bergeron, Y. and Greene, D.F. 2014. The impact of early pre-commercial thinning of dense jack pine (Pinus banksiana Lamb.) stands on the mortality of thinned stems. Forestry Chronicle, 90: 371-377. Splawinski, T.B., Greene D.F., and Gauthier S. 2014. A model of the post-fire recruitment of Picea mariana and Pinus banksiana as a function of salvage timing and intensity. Ecological Modeling, 282: 35-43. Greene D.F., Splawinski, T.B., Gauthier, S. and Bergeron, Y. 2013. Seed abscission schedules and the timing of post-fire salvage of Picea mariana and Pinus banksiana. Forest Ecology and Management, 303: 20-24. Splawinski, T.B., Cyr, D., Gauthier, S. and Bergeron, Y. 2017. Analyse du risque d’accidents de régénération en forêt boréale aménagée. Direction de l’aménagement et de l’environnement forestiers, Ministère des Forêts, de la Faune et des Parcs (MFFP). 54 p.
Splawinski, T.B., Cyr, D., Gauthier, S., Jette, J.-P., and Bergeron, Y. 2017. Analyzing risk of regeneration failure in the managed boreal forest of North-western Quebec. 19e colloque annuel de la Chaire industrielle CRSNG-UQAT-UQAM en aménagement forestier durable, November 30 2017, Aréna de Ste-Germaine-Boulé, Quebec. Splawinski, T.B., Cyr, D., Gauthier, S., Jette, J.-P., and Bergeron, Y. 2017. Analyzing risk of regeneration failure in the managed boreal forest of North-western Quebec. Symposium Ouranos 2017, November 15-17 2017, Montreal, Quebec. Splawinski, T.B., Gauthier, S. Bergeron, Y., Greene, D.F., and Valeria, O. 2015. Modelling natural conifer regeneration following fire and salvage logging: stand and landscape-level operational assessment tools. Carnegie Museum of Natural History, International symposium: Understanding the impacts of disturbance and salvaging on forest regeneration and sustainability, May 29-31 2015, Powdermill research station (Ligonier, PA), USA. Splawinski, T.B., Greene, D.F., and Gauthier, S. 2013. A model of the post-fire recruitment of Picea mariana and Pinus banksiana as a function of salvage timing and intensity. Forest landscape mosaics: disturbance, restoration and management at times of global change, August 11-14, Tartu, Estonia. Splawinski, T.B., Gauthier, S., Bergeron, Y., and Greene, D.F. 2014. The impact of early pre-commercial thinning of dense jack pine (Pinus banksiana Lamb.) stands on the mortality of thinned stems. Colloque annuel du Centre d'etude de la Foret, April 29-30, Montreal, Quebec. Splawinski, T.B., Greene, D.F., and Gauthier, S. 2013. A model of the post-fire recruitment of Picea mariana and Pinus banksiana as a function of salvage timing and intensity. 15e colloque annuel de la Chaire industrielle CRSNG-UQAT-UQAM en aménagement forestier durable, November 26, Centre des congress, Rouyn-Noranda, Quebec. Splawinski, T.B., Greene, D.F., and Gauthier, S. 2013. A model of the post-fire recruitment of Picea mariana and Pinus banksiana as a function of salvage timing and intensity. Colloque annuel du Centre d'etude de la Foret, April 24-26, Montebello, Quebec. Splawinski, T.B., and Greene, D.F. 2009. Post-fire (establishment phase) regeneration and recruitment dynamics of black spruce and jack pine following salvage. 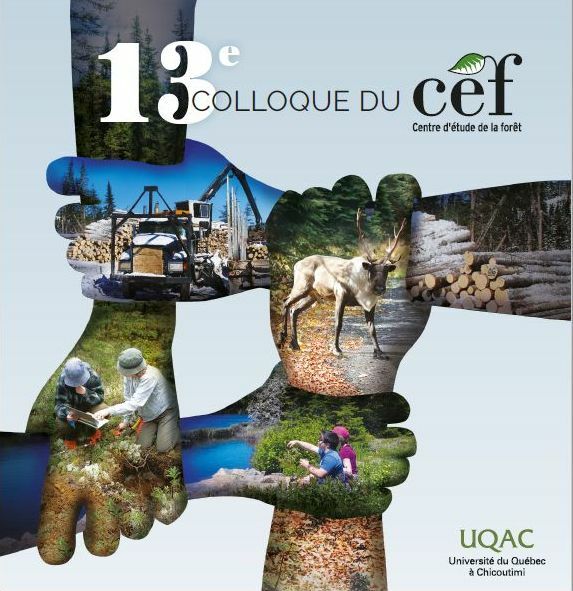 Colloque annuel du Centre d’etude de la Foret, April 19-20, Gatineau, Quebec. Splawinski, T.B., and Greene, D.F. 2009. Post-fire regeneration dynamics of black spruce and jack pine following salvage. Colloque étudiant UQAM/Concordia. La géographie en perspectives: Regards croisés. April 3, Montreal, Quebec.